Burnett: A World title shot could be very close for me! 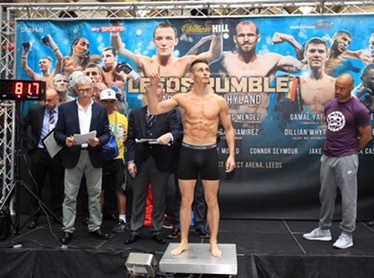 WEIGH IN RYAN BURNETT CORN EXCHANGE,LEEDS WHO FIGHTS CEZAR RAMIREZ FOR THE WBC INTERNATIONAL BANTAMWEIGHT CHAMPIONSHIP CONTEST PIC;LINDSEY PARNABY WEIGH IN BEFORE THEY CLASH TOMORROW IN LEEDS. Ryan Burnett believes he’s edging closer to bringing a major title fight to Belfast as he defends his WBC International Bantamweight title against Cesar Ramirez at the First Direct Arena in Leeds on Saturday night. Burnett’s clash with Ramirez will be live on SkySports.com along with Gamal Yafai’s Commonwealth Super-Bantamweight title defence against Josh Wale between 6pm and 8.30pm before the action gets underway live on Sky Sports 1 from 8.30pm. Burnett knows that there are big plans for him should he keep hold of his belt in his first defence, with promoter Eddie Hearn and trainer Adam Booth saying that the classy Belfast fighter could soon be mixing with the top names and champions in the 118lbs division, and that has pushed the Burnett to work even harder in the gym. “I have been putting in a lot of work,” said Burnett, who scaled 8st 5lbs 4oz, two ounces less than Ramirez. “It isn’t too long ago that I found out a World title shot could be very close for me, and that brings a lot of excitement. “I am happy to be named among guys at the level of Haskins, Hall and [WBA champion] Jamie McDonnell. If I am being named that high I have to stand up to the mark and Adam thinks I am ready. “For Eddie to say I am three fights away from facing the winner of Haskins vs. Hall is a big statement. Stuart and Lee Haskins are amazing fighters and I am being mentioned in the same breath. “At the press conference for this fight, Josh Warrington was saying ‘we have Ryan Burnett on the show, he is closing in on a World title shot’. It seems a bit mad to hear people say that but I am happy with the way things are going. “I thought I knew boxing but since I have started working with Adam, that has changed, we have completely taken off. The things he has been teaching me are incredible and I learnt very quickly that I didn’t really know boxing. Saturday night is a big night for Belfast boxing as Carl Frampton faces Leo Santa Cruz in Brooklyn in the early hours of the morning looking to become a two-weight World champion. 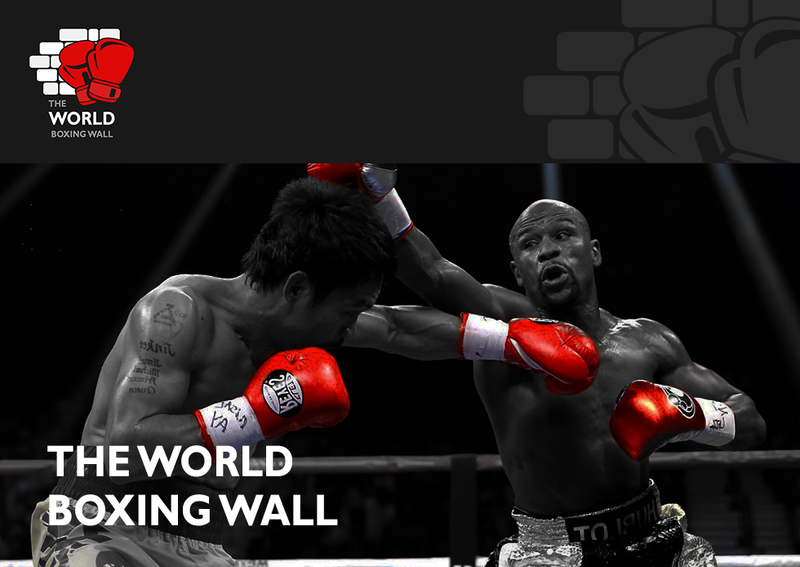 Burnett believes he can join Frampton as a World ruler and wants to do so on his home patch. “In Belfast there are great fighters,” said Burnett. “It is a city which produces champions. Jamie Conlan is a fine champion, Tommy McCarthy is up and coming, there is a good bunch there and it will work well for when Eddie brings the Sky Sports cameras back to Belfast. Burnett’s clash with Ramirez is part of a huge night of action in Leeds as hometown favourite Josh Warrington defends his WBC International Featherweight title against Patrick Hyland – but the title is not on the line for the Dubliner as he failed to make the weight. Luke Campbell MBE meets Argenis Mendez for the vacant WBC Silver Lightweight title, Huddersfield man Tyrone Nurse defends his British Super Lightweight title in an all-Yorkshire affair with Hull’s Tommy Coyle, Gamal Yafai defends his Commonwealth Super-Bantamweight title against Josh Wale and Heavyweight rivals Dillian Whyte and Dave Allen meet for the vacant WBC International strap.